Some students ask many questions, but fail to ask the really crucial ones. Some students don’t ask at all, but might be considering these questions anyway. In this article, I’m going to talk about the question that you have to ask yourself about your current Chinese program (or one you’re planning of enrolling in) and your Chinese teacher. What will you not learn from this teacher/course? For obvious reasons, the answer to this question isn’t usually introduced along with the syllabus the first time you attend class, and neither is it posted on the school’s website. Teachers won’t highlight their own weaknesses, schools won’t tell students what they won’t learn from attending their courses. If they do, that’s a very good sign indeed. Most of the time, however, you need to consider this question yourself. This is about taking responsibility for your own learning. You’re the one who will suffer if anything goes wrong. The basic principle is to take your own long-term goals and compare them to the curriculum of your Chinese course/program. Don’t be fooled by the flowery language, look at the actual requirements. They will most likely not be the same as your goals. For instance, some teachers will say that speaking is important, but yet only have written exams. This phenomenon isn’t limited to teachers, of course, which is why I’ve written an entire article about it here. It’s frighteningly common among teachers to be unaware of how their choices of examinations and assessments influence how students plan their learning. The factors you need to consider are of course many more than I can easily list here, but one of the most important one for language studies is the size of the class. 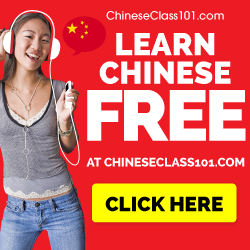 If you’re after oral proficiency in Chinese and there are twenty students in each class, you can rest assured that speaking and pronunciation won’t be what you see the most of. In fact, I have attended several classes that were called “conversational Chinese”, but turned out to be mostly about listening to the teacher and reading dialogues in a book. 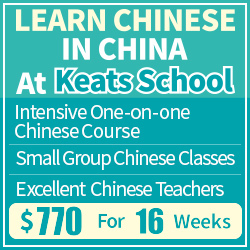 I would argue that class size is the most important factor when deciding where to go for Chinese classes. In a perfect world, teachers would be able to teach you everything with ease and they would be provided with sufficient resources to do so. This isn’t the case, though. Native speakers sometimes struggle with explaining the grammar or pronunciation of their own language. Foreigners like me find it hard to teach open conversation classes because we lack sufficient “language feeling” (语感) to be able to say for sure whether a phrase sounds natural or not. On the other hand, advanced second language learners know much more about the process of learning Chinese as an adult than most native speakers. Each teacher has his or her strengths and weaknesses. You need to figure out what they are and see how they tally with your own goals and ambitions. Naturally, this involves more than the teacher, because even the best teacher might have limited resources (especially time). You’re unlikely to find someone who can provide you with everything you want in the way you want it. This doesn’t mean that you should quit your course or stop hiring a private tutor, it just means that you should take note of the things you won’t learn and make sure you learn them in some other way. If you find out that your courses are very heavy on reading and listening, find people to talk with on your spare time. If you can’t understand your teachers corrections for your tones or your teacher don’t have time to correct you, hire someone to do it and practice on your own. When learning something as complex as a language, we shouldn’t focus on everything at once anyway, so focus on what you think is most beneficial for you at the moment and try to find ways of reinforcing other areas later, perhaps with a different teacher or in a different program. 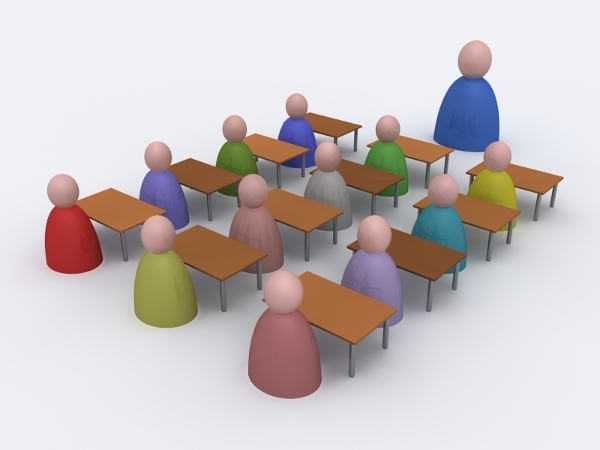 The reason I launched Hacking Chinese in the first place is that I found that most teachers don’t tell students about how to learn, either because they don’t know (this is surprisingly common) or because they don’t have time (also a common reason, see the discussion about class size above). Either way, Hacking Chinese is an attempt to fill this gap. I hope that through reading my articles and applying the principles behind them, you will become more independent and aware of your learning situation. Comparing what you want to achieve with what your courses and teachers will offer you is a good start! I remember the guy in “Good Morning, Vietnam” that visited a classroom full of Vietnamese that were learning English in a typical format of “Hello”, “It is nice to meet you”, “Thank You”. He upset the teacher, but excited the class by teaching some colorful colloquial English rather than the dry ESL curriculum. Most schools are dependent on a curriculum that is in turn dependent upon the available published teaching materials. It really doesn’t matter if it is English, Chinese, or French. It is just more efficient and economical to run classes that way. So I suspect the real question should be, “How are you going to extend your Chinese language learning beyond the classroom?” And “How soon are you going to begin to do so?”. 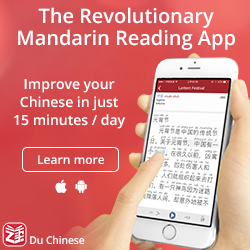 If you are living in China or Taiwan, it is rather easy to be engaged in active use with real people, but studying Chinese in your native society requires more effort, more creative solutions. Try to watch Chinese movies with Chinese subtitles (video rentals or theaters), get actively evolved in cultural exchange within your local Asian community. 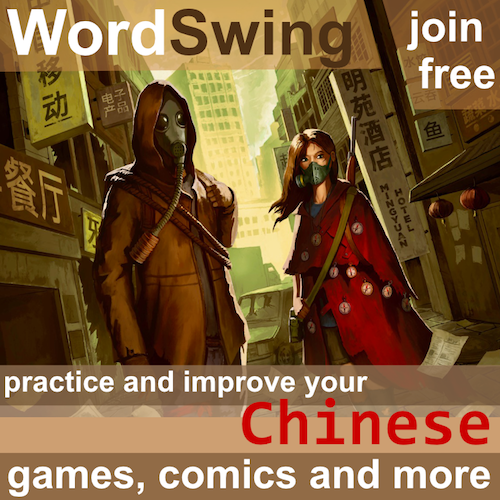 Teach English to Chinese kids in exchange for them teaching you Chinese. I think you hit the nail on the head here. Your rephrasing of the original question captures the situation for most students, but I do have a reason for including my version rather than yours. I realise that most people who read Hacking Chinese aren’t average students who don’t care much about their learning (those students would never bother to find this website). Among more serious students, I would say it’s quite common with private lessons of some kind (even language exchange might count). That means that the concept of “classroom” becomes a bit blurred. What you say is of course still true, though. The worst part of it is that some teachers/courses don’t provide enough support for the things that are actually covered by the curriculum. Take pronunciation as an example. This is something which everybody knows is important, but schools seldom have the resources to actually teach pronunciation properly. Few students realise this, most think that when the teacher doesn’t correct them, it means that their pronunciation is up to par. It almost never is. I think it’s good to take stock of such things and take the right measures to balance more, just as in the way you talk about doing this for a class. Actually, that’s what learning on one’s own is about, isn’t it? 🙂 I also think that’s why people like teachers and courses, because they believe that these will safely guide them to fluency without risking to miss anything important on the way. I think most people who study on their own are well aware of the fact that they might be missing things. The danger for them doesn’t lie in the fact that they aren’t aware of the problem. That, however, is the problem for most students enrolled in language programs. Yes, I see what you mean. Having studied some applied linguistics and taught language myself, I suppose I’m naturally skeptical about classes, as I feel it is quite harder than meets the eye to conduct a really excellent language class. I believe in their value and have participated in some, but my expectations, depending on the situation, tend to be modest. one on one lessons can be a different matter, I think, and there is a lot more chance to use the time very effectively for the learner’s benefit. Thank you so much for the nice blog.I like your idea and suggestions, it is very helpful to learn Chinese.once again thanks a lot.